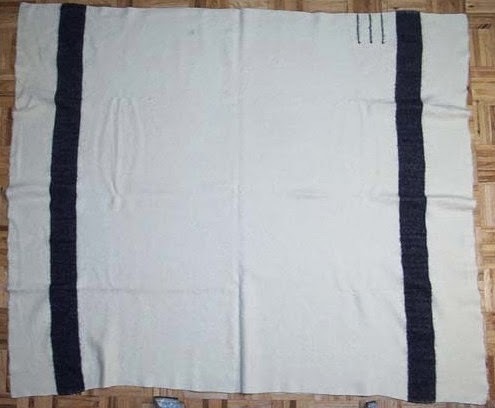 This simple yet collectible Hudson Bay blanket sold for in 2005. This is a three point blanket. The points are related to size and weight of the blanket. In the photo below, you can see the three points: the indigo color lines on the edge of the blanket. So this vintage wool blanket sold for $56.25. Nothing beats the quality of a vintage wool blanket.